Since I could not wait the few more months for the TT version of ultegra di2 to come out I decided to try and make my own. Long story short, it can be done fairly simply. 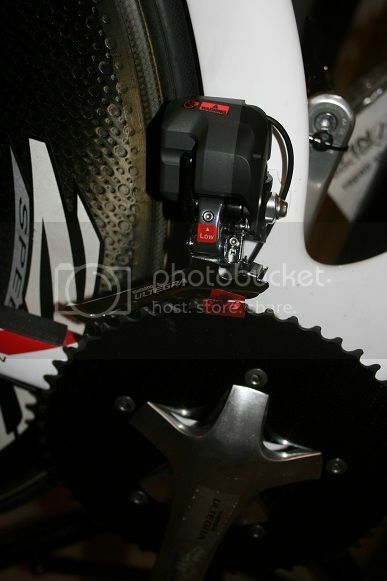 Ultegra di2 uses canbus protocol for communicating between the derailluers, shifters, and even the battery mount. So, in order to make tt shifters, I used the STI shifters for its parts. The STI shifters have a small circuit board connected to the x/y shifter buttons on the paddles. The switches on the sti shifters are simple momentary switches with a common and up & down wires (three in total). 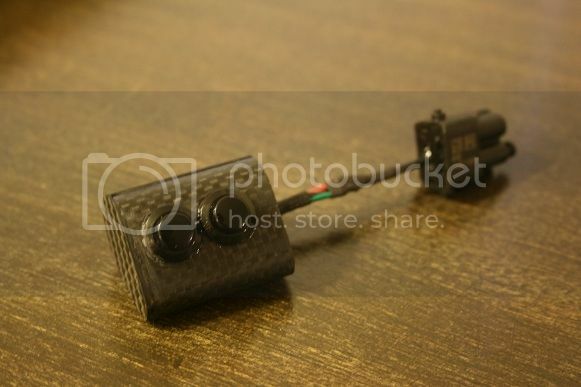 All that is needed is the small circuit board and the wires coming from it to the paddles. The x/y buttons can be replaced by any momentary switch. For my project, I mounted the circuit board and switches into a section of the aero bar. Satellite shifters can easily be added in by splicing into the new switch circuit. From there, installation for the rest of the components are the same. 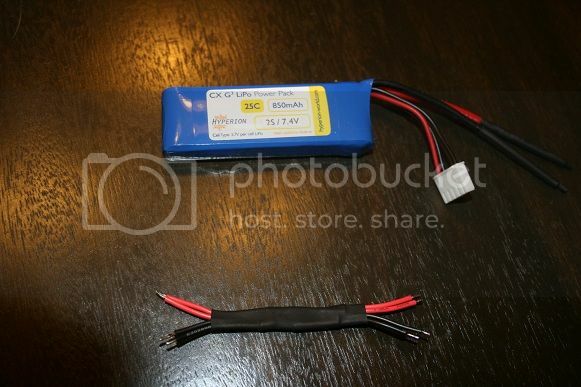 A few things I found....the harness is only made up of two wires so if youre good with a soldering iron, you dont need the junction box or 4 separate shimano wires...you only need the plugs and the rest can be made. Additionally, since even the battery mount communicates with the rest of the system, you cant simply put a battery inline like with dura ace di2. You can, however, use your battery of choice and just run the leads to the mount. I placed the mount under the seat and put the battery in the seat post. It was a fun project and fairly easy. Ill post some pictures below!! How much did this cost you? How well does it perform? very nice! just curious, the small board that you referred to from the shifters. Do you think that was a control board? If so, did you happen to notice if anything looked proprietary? Just wondering if it would be possible to just set up your own board versus cannibalizing a pair of STI shifters (I might have misunderstood, maybe you didn't do that) for the board. I actually didn't think you needed a control board so hopefully I'm misunderstanding you. Very clean setup. I was debating doing this and was trying to figure out where the best spot for the shifter buttons really is. Would it be where you put it and Shimano puts it would a rocker dpdt switch mounted un the underside at the tip possibly work better. You could even hide the buttons under the bar tape...! I got everything from nasbar for about 1000. Could probably have pieced it together cheaper by buying of ebay though. As far as performance goes, I dont have the chain on yet but it should perform as well as di2 should since the only thing that was modified was the shifters. 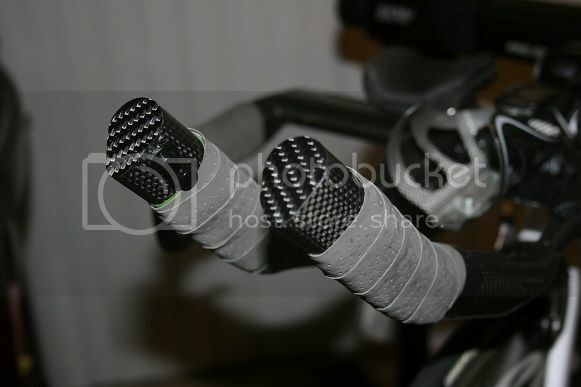 They are in both shifters (you can see the black box in the shifter pic i posted). They are small, like about 1 cubic inch and the wires plug directly into them. Come to think of it, a budget build could be done by doing rear shifting only...then all youd need is the r shifter, rear derailleur, and battery mount. nice work. in my opinion, one of the best elements of di2 is on a TT/tri bike--shifting at the horns. you can right that up, i'm sure, but it's a really strong aspect of DA di2. Nice! Can't wait to see how it works with the chain on. I agree. I also put momentary switches by the levers (left up, right down). Satellites can be rigged up anywhere. One thing about ultegra that's better than dura ace is the wire diameter...it's only 5mm compared to 8mm which makes routing a lot easier. wire diameter on da di2 is 2.5-3.5mm, depending on the wire. i think you mean connector diameter. the smaller connectors on di2 are ~5.5mm, but some are larger, which is the problem -- it's not the wire diameter. Really like how open source Di2 is. Great stuff! That is awesome! I have been following a thread over on fairwheel bikes that suggest Di2 ultegra is much tougher to do these mods. I'm glad to see your work. I dont think they will care much. The shift buttons themselves are very cheap, but to get it to work you need to buy a $450 road shifter set to cannabilize for the electronic modules. I doubt many people are going to copy locutus' very nice work. 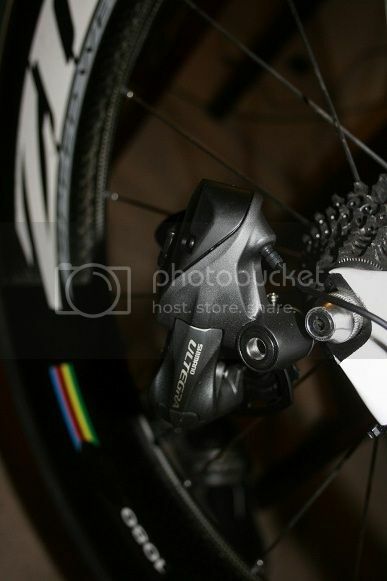 Shimano could have very easily put the electronics in the deraileurs, then you could easily make your own TT shifters. I don't think the descision was by chance. Now if someone can come up with a reasonably priced control module, then I think shimano might not be happy. PM me your address and I'll send you a couple of the brand new Specialized Hydroflo slowtwitch bottles for starting this very neat thread. Do you have the spec for the message that are used (and bus rate etc) or did you reverse engineer it? I'm very interested in more details about the electronics if you're willing to share. Cool project! That is totally awesome. I'm guessing you could also use your protocol for a MTN bike XTR version? Can you please PM me? I have a few technical questions. How much damage did you do to the STI levers? Do you think you could rebuild them if necessary? I'm asking because I'm wondering it this a reasonable approach to take in order to add DIY remote shifting to a road bike with Ultegra Di2: pull the module, solder on additional leads for more buttons, reinstall the module. ps. I also wonder if the module might some day be available as part of repair assembly. I bet Locutus has a beard.